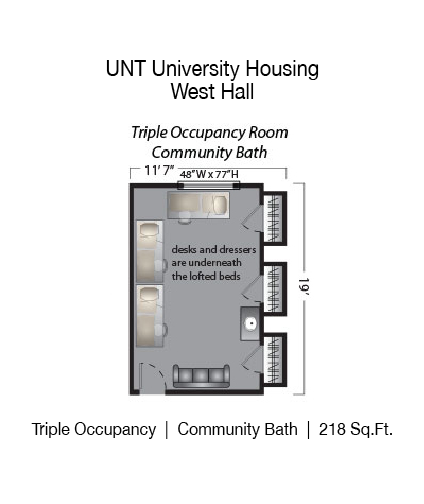 West Hall is located at the intersection of North Texas Boulevard and Chestnut Street, West Hall is one of UNT’s “Economy Halls” that houses freshmen students. 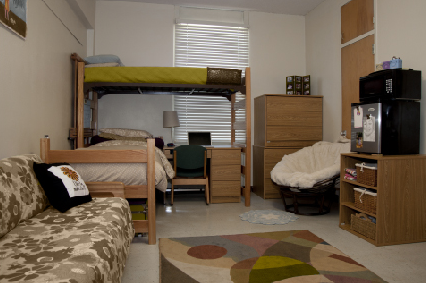 This is a coed residence hall with men in north tower and women in south tower. 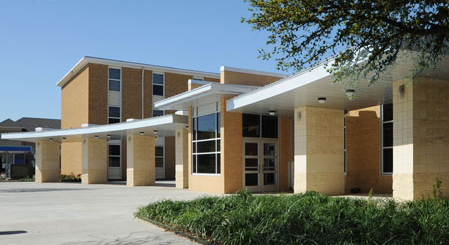 West is known for its unique mixture of residents who have an abundance of hall pride. 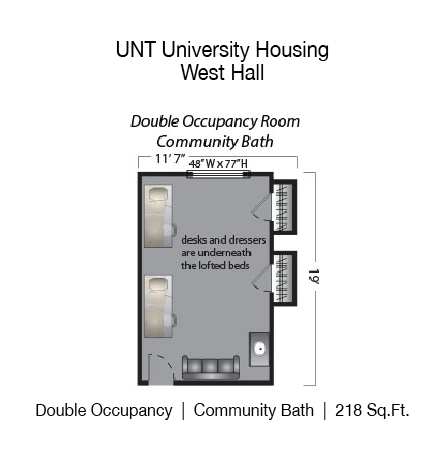 Offering both double and triple rooms, residents at West Hall enjoy spacious living quarters with lofted beds and couches. There is also a newly renovated large lobby with pool tables and big screen television that is a popular hangout, as well as an on-site cafeteria.